we've had a few showers of rain but it's only gone down a couple of inches into the soil As the weather has been cooler I have been digging and replanting things I had dug up before Christmas and put into pots so my friend could babysit them whilst we were away. Couldnt resist this miniature rose so I am being very careful to see that it doesn't dry out when we have more scorching days. Beautiful. Lucky you to get some rain, it is so dry here. 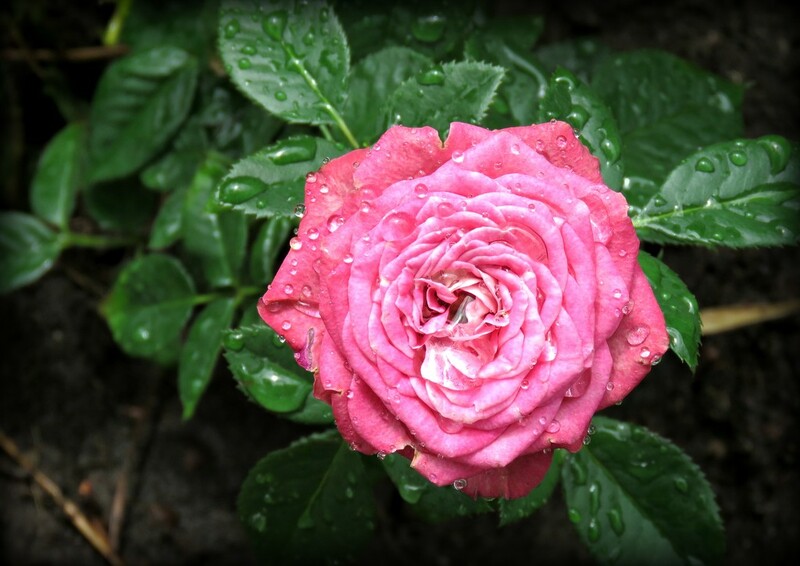 Beautiful rose and capture.Love the raindrops on it. Fav.